The Flossenbürg camp landscape today (click on all images for larger view). Between 1938 and 1945 the little Bavarian town of Flossenbürg was the home for a Nazi concentration camp that held political prisoners, German criminals, and, near war’s end, Hungarian and Polish Jews. About 30,000 prisoners died in Flossenbürg and its neighboring subcamps by the time the camp was liberated in April, 1945. Perhaps one of the most unexpected dimensions of Flossenbürg today is that it is a beautiful little Bavarian town that departs from our imagination of a landscape of genocide. 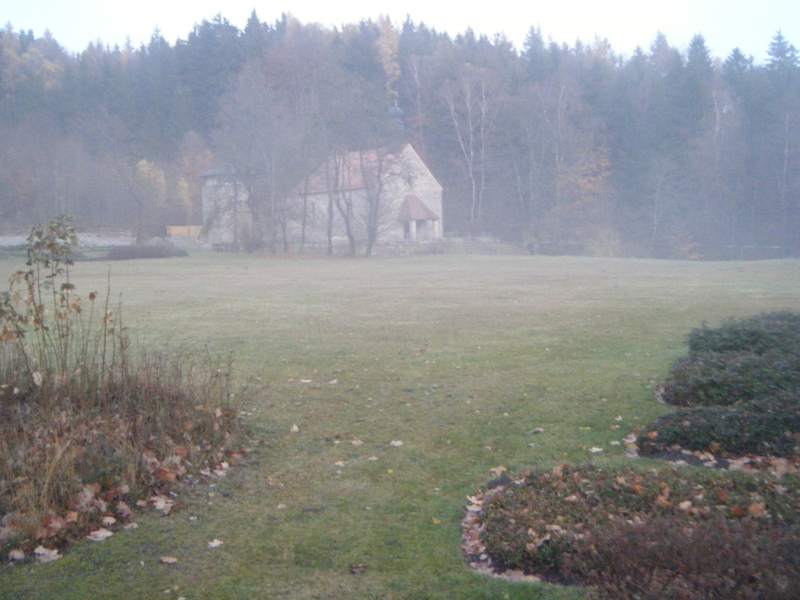 Nestled in the Bavarian forest near the contemporary Czech border, Flossenbürg was a small medieval village that was home to granite quarry laborers by the late 19th century. 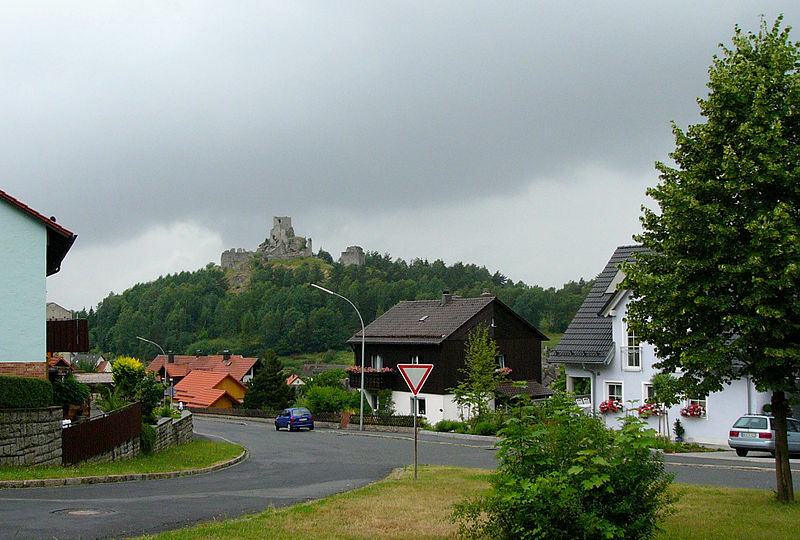 Atop the village’s highest point sits the picturesque ruins of Flossenbürg Castle, which was built in about 1100 and eventually was burned in 1634 during the Thirty Years War. The ruins of Flossenbürg Castle viewed from the village (image Nikater). Many dark tourism sites associated with death, tragedy, and disaster are likewise aesthetically appealing contemporary spaces. Sites like Flossenbürg acknowledge our anxieties about death, violence, and injustice, and interpretation at such sites usually paints a sober if unsettling picture of historical experiences. Nevertheless, many of these preserved places inevitably have been purged of most of the material trappings that made them horrific places, and some of them like Flossenbürg are once more visually appealing spaces despite their heritage.